How is Jones ducking when he wants to fight the more dangerous fighter? Discussion in 'UFC Discussion' started by goldentoe, Jun 2, 2014. Jones clearly wants the more dangerous fighter in the division in wanting to foght DC next not Gus. 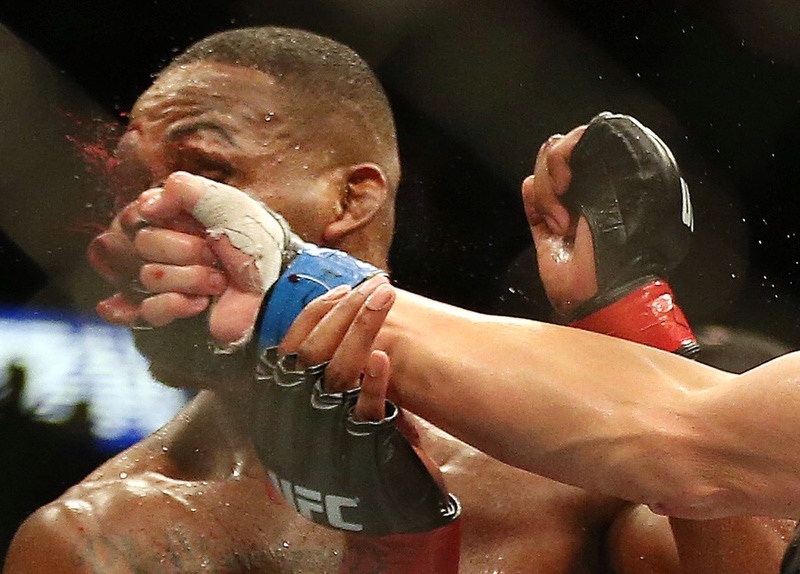 Dc desereves the shot any ways gus has done nothing to earn a rematch. DC was a top #3 HW and is fighting at a healthier weight. How is he "ducking" lesser competition who he already beat. Saying you want to fight the guy who probably needs serious knee surgery is not selecting the more dangerous fighter. I'd rather fight a guy that'll wrestle me than a guy that destroyed my face once already. And this. Cormier should heal up and wait his turn. I want to see a healthy Cormier fight Jones. Gus is the only guy who has ever hurt Jon that badly. Jon didn't just beat gus like the other guys. They had an all out war that went to decision, it was a close fight that sent both guys to the hospital. Avoiding Gus doesn't look good no matter who the next guy is. Who do you think won Jon Jones VS Alexander Gustafsson? I'm not sure JJ's motivation but TS is being short sighted, yet again. I can easily look around this by saying JJ wants the easier road. JJ has two extremely tough fights coming up. He doesn't want DC resting and healing while he repeats the toughest fight of his career, and goes through two tough training camps. He can also hope Gus gets beat by someone else because we know DC is sitting on the bench waiting. These two fights may take time off his career and life. Its going to be a lot of work for him, and by the time he is done with these two, there will be another contender ready. First reply pretty much sums it up. hes ducking gustafson that's how? Whether Jones is ducking Gus or not, DC will impose more problems for the champ than the Swede. Unlike Gus, I think Cormier will finish Jones to make sure he will not get screwed over (assuming he dominates JJ) by the judges.